NEW A Muse Stamps: Bare Branch, Groovy Partridge, Heaven & Nature Sing (also used music notes from the Ice Cream Truck stamp). 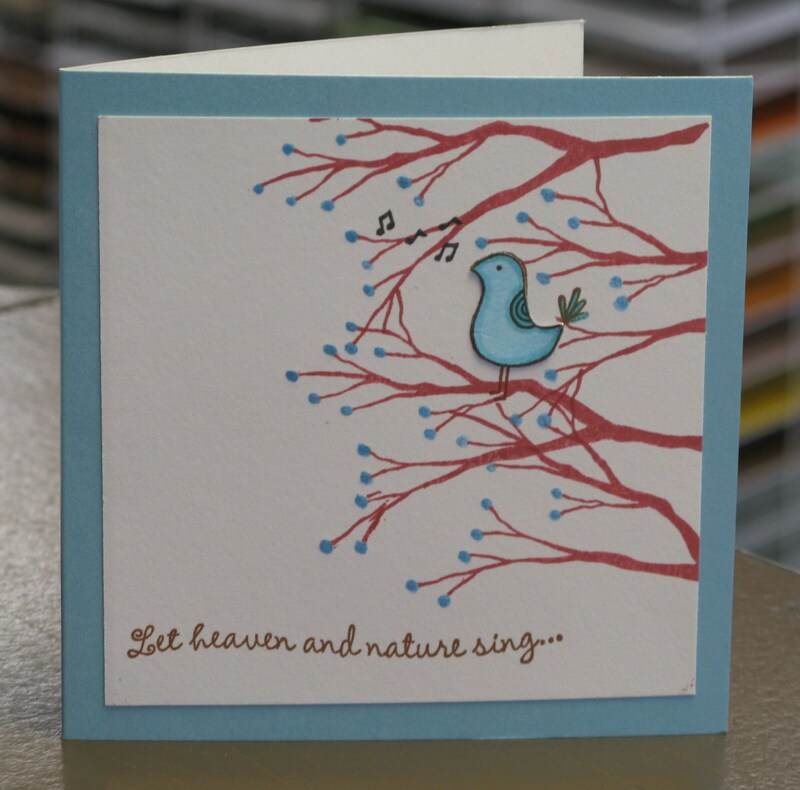 I used blue Shimmer Couture paper for this card because it looked so cute with the Pool Smooch dots on the tips of the branches, which were stamped with Rhubarb Stalk Memento Ink. Check out the Paperie Blog today to see a cute Halloween card that we made in last night’s Card Class. Hope you’re enjoying all the Amuse-bouche sneak peeks this week, we’ve all had a lot of fun creating these cards! So fabulous Megan! Love the colours – I have such a hard time putting blue and red together but you rocked it! Nice card! Love that groovy chick! Love the colors, the bird, the little notes! FABULOUS! I love this card! great use of non-traditional christmas colours! Meghan, this is Stunning! Love your little singing partridge! great card–i love groovy partridge!! One of my favourite cards.